Bishop Noll Institute choir director David Herr, left, celebrates with seniors Mireya Melero and Julia Fugger. The students performed as a Choral ensemble during an ISSMA competition Jan. 27 at Munster High School and both received a perfect score. 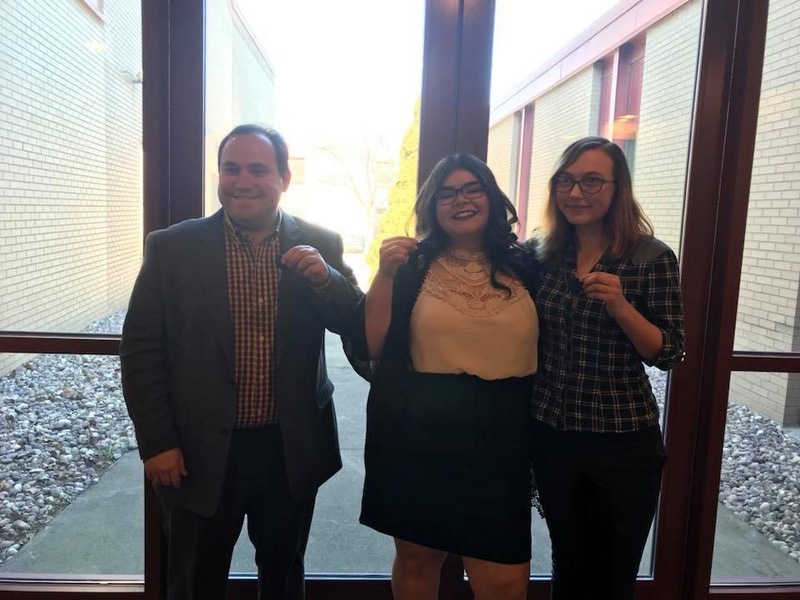 Seniors Julia Fugger and Mireya Melero performed the piece as a choral ensemble Jan. 27 at Munster High School, and both of them received a perfect score. The piece took the students months to prepare, working on it at school with choir director David Herr and rehearsing on their own as a pair and individually. “I would practice every other day and even sing it while doing my chores to help with memorization,” said Melero, of Griffith. The hard work paid off as the judges gave them a perfect score, surprising them both. Fugger, of Lansing, said she was terrified of making a mistake during the difficult piece. “I was on the counter melody or alto part and I am usually a soprano so the piece was a totally different experience for me,” she said. 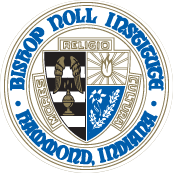 Fugger, who was recently named a Bishop Noll Graduate with Distinction, said this was one highlight of her high school career. Others included major roles in “Seussical the Musical” and “Into the Woods.” She was also the first and only member of the re-established Speech Team to go to state her sophomore year. In addition, she performed at the state level for the Shakespeare monologue contest representing BNI twice. Music will always be a part of her life, she said, but she does not plan on a music career. She encourages fellow students who are interested in vocal or instrumental music to learn about ISSMA and how to participate in the competition. “It is a great thing to be able to put on your college transcript,” she said. Melero agreed that the perfect ISSMA score was a high school highlight. In addition, she is looking forward to playing the lead role of Maria in this year’s spring musical “West Side Story.” The show will run April 20-22 and 28-29 in the Bishop Noll Auditorium. Although she doesn’t plan on studying music in college, she plans to join a choir and a local theater group.